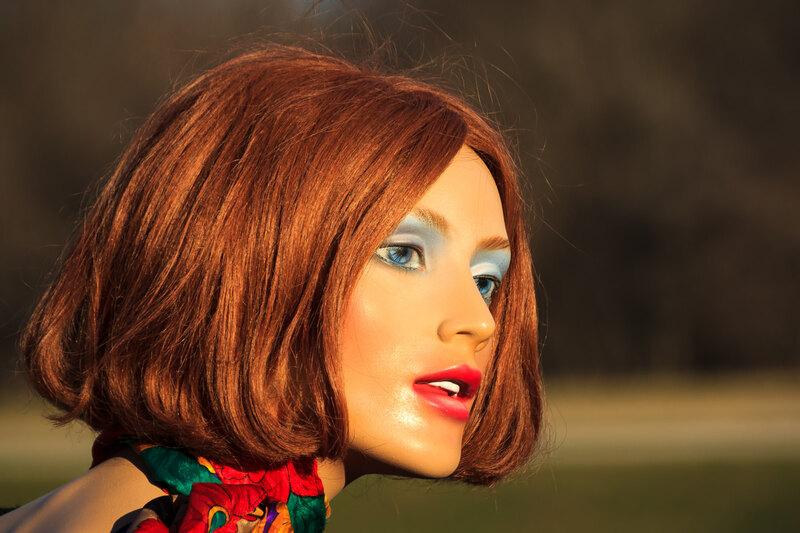 A misplaced mannequin found near White Rock Lake, Dallas. 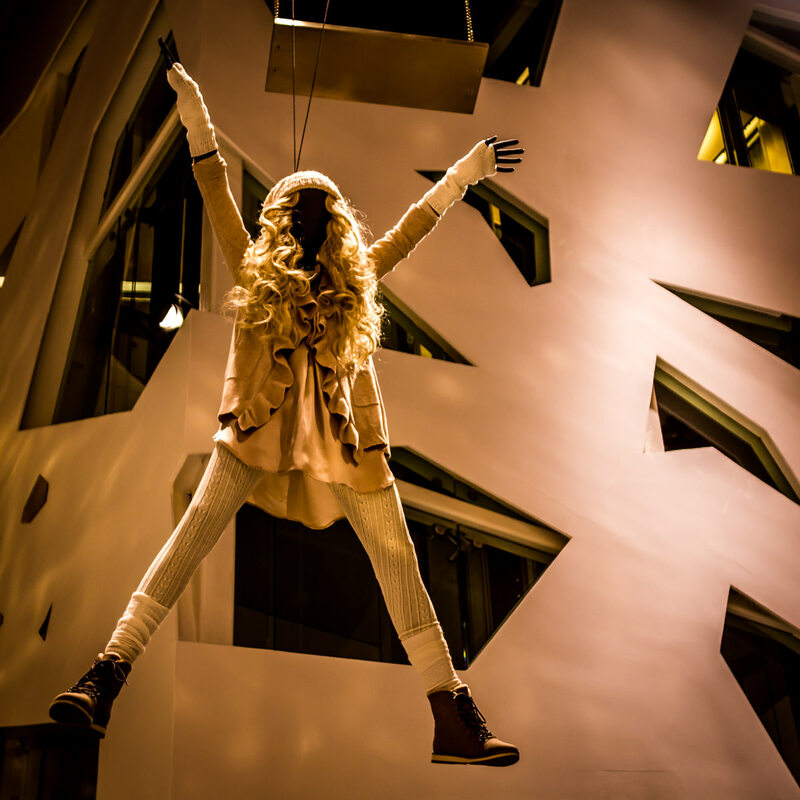 A hanging mannequin at the H&M store at the Forum Shops at Caesars Palace, Las Vegas. 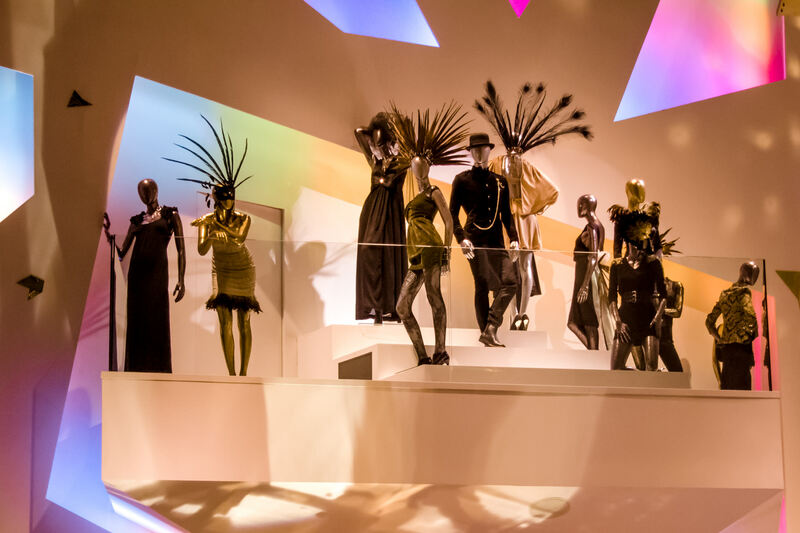 Mannequins outside the H&M store at The Forum Shops at Caesars Palace, Las Vegas. 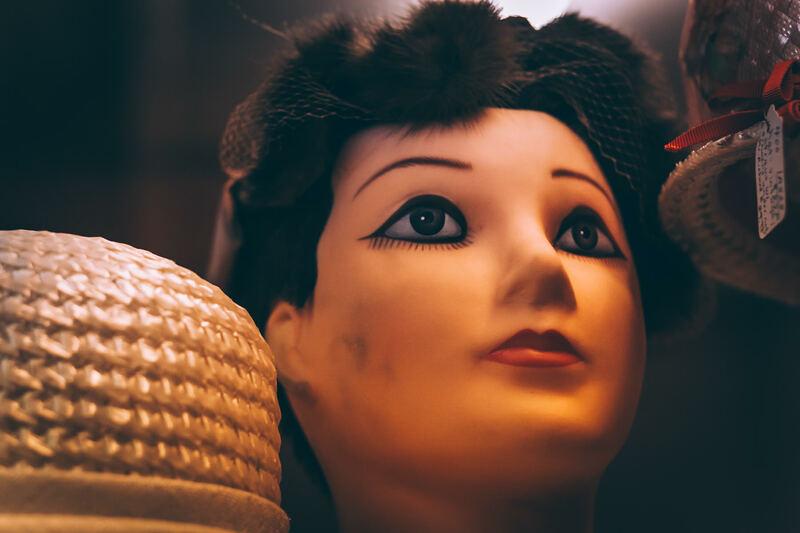 A wig display mannequin head at an antique shop in Gladewater, Texas.